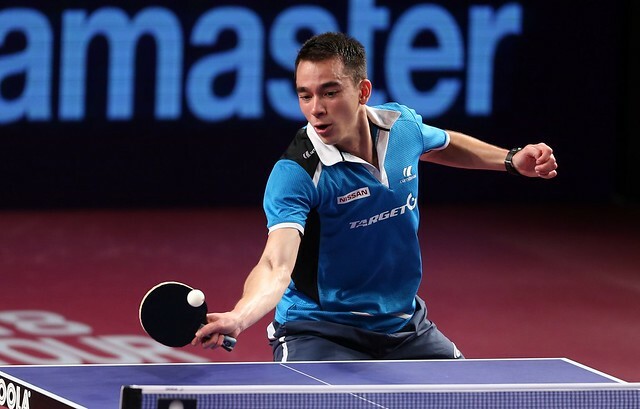 The second day of the qualification tournament, which preceded the Seamaster 2018 ITTF World Tour Platinum Qatar Open, produced plenty of talking points with surprise exits, close shaves and two gold medal contests on Wednesday 7th March. So here's a look at how the day played out in Doha. Winners of groups 1 through to 11 gained automatic qualification for the Women’s Singles main draw, rewarding the likes of Japan’s Saki Shibata and Singapore’s Zeng Jian for positive outings in the final round of group stage fixtures. However, players finishing at the summit of groups 12 to 21 were required to play one further round of qualification action but Yang Xiaoxin wasn’t fazed by the task at hand. Displaying an air of calm, Monaco’s Yang Xiaoxin rose to the occasion yet again in the qualification tournament, defeating Ng Wing Nam of Hong Kong in straight games (11-8, 11-3, 11-8, 11-7) to reach the main event. Impressive at the 2018 ITTF-Europe Top 16 Cup in early February, Bernadette Szocs continued to demonstrate her recent progress on the international scene with a fiery performance in Doha leading the Romanian to a seven games victory over Korea Republic’s Choi Hyojoo (11-6, 13-15, 9-11, 11-7, 11-8, 3-11, 11-9). 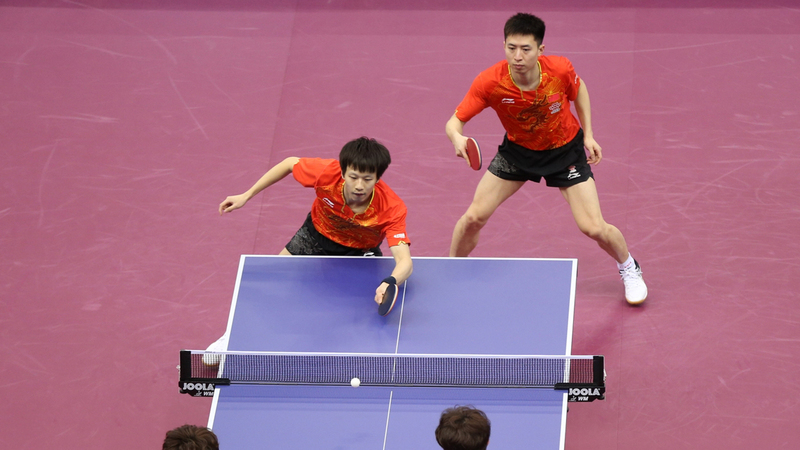 China’s Che Xiaoxi, Chen Ke and Sun Yingsha also progressed from the preliminary round. India will be represented in the main draw of the Men’s Singles competition, after both Sharath Kamal Achanta and Sathiyan Gnanasekaran successfully came through the two-day qualification tournament. Coming out on top against Anton Källberg earlier in the day, Sharath Kamal Achanta booked his spot in the Round of 32 with a fine display against Germany’s Ruwen Filus (11-6, 8-11, 11-7, 11-2, 11-7) while a straight games win over Kim Donghyun (12-10, 11-5, 11-7, 11-9) handed Sathiyan Gnanasekaran his ticket to the next round. Andrej Gacina and Quadri Aruna’s hopes of appearing in the Seamaster 2018 Qatar Open Men’s Singles event were dashed following surprise defeats in the final round of qualifying against Lin Yun-Ju (9-11, 14-16, 12-10, 13-11, 14-12, 10-12, 11-5) and Lim Jonghoon (11-9, 6-11, 11-9, 9-11, 11-8, 5-11, 11-4) of Chinese Taipei and Korea Republic respectively. There were nervous scenes for the sole Chinese partnership competing for the chance to qualify for the Men’s Doubles tournament: Fang Bo and Lin Gaoyuan pulled off a mini-comeback effort to rescue themselves from an early exit against the Korean duo of Jang Woojin and Lim Jonghoon (5-11, 11-9, 9-11, 11-6, 11-4). Another dramatic encounter came in the Women’s Doubles preliminary qualification round as the mixed nationality pairing of Thailand’s Tamolwan Khetkhuan and the Czech Republic’s Karolina Mynarova beat the Hungarian team of Dora Madarasz and Szandra Pergel by the narrowest of margins (11-7, 9-11, 11-8, 3-11, 12-10) to set up a tie with India’s Mouma Das and Manika Batra in the Round of 16. The first trophies of the Seamaster 2018 Qatar Open have been handed out following the conclusion of the two Under 21 events in Doha. Defeat in the group stage of the Men’s Singles competition, but in the Under 21 Men’s Singles category China’s Xue Fei excelled: the World Junior Champion accounted for Ng Pak Nam in the final (11-8, 11-9, 11-7) to lift the trophy. There was further success for China in the Under 21 Women’s Singles event, with Zhang Rui finishing ahead of Chen Ke (11-7, 11-4, 9-11, 11-7).